News at Spencer Public Library: February Storytimes with Sarah Beth! 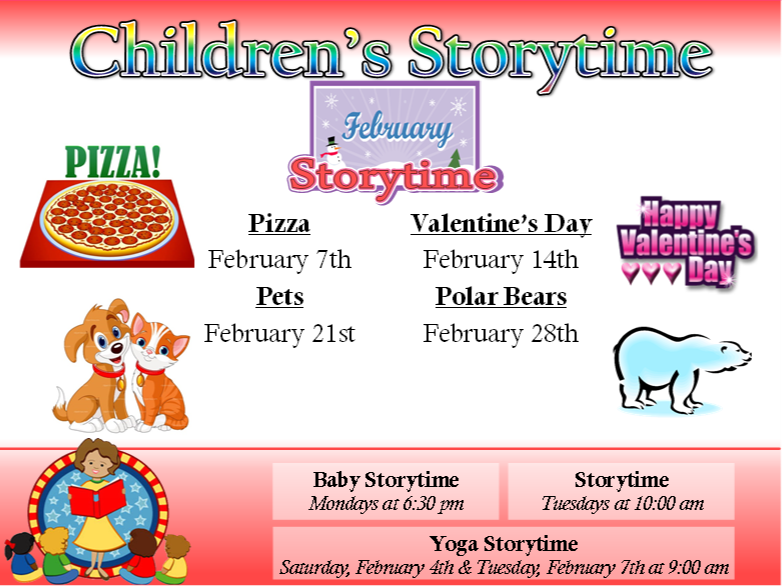 February Storytimes with Sarah Beth! Give your child the gift of early literacy skills! Bring them to Storytime @ the library!